You’ve likely heard the joke before about how Minis aren’t particularly petite anymore, but that doesn’t mean we can’t highlight just how large and portly the current Mini Clubman is in comparison with the tiny original Mini from the 1950s. If it weren’t for the exterior design, you wouldn’t have thought they were both part of the same lineage. Still, this increase in size and weight has resulted in a Mini Clubman that’s amongst the most practical a Mini has ever been. Despite the wagon-esque proportions, the Mini Clubman is more a rival to more upmarket family hatchbacks like the Volkswagen Golf, Mazda 3 and Chevrolet Cruze. Which, in quite a few ways, the Mini Clubman compares rather favourably with. Admittedly, the Mini Clubman isn’t as affordable as those cars, and there are some particular quirks you’ll need to grow accustomed to if you do go for this hatch-rivalling wagon. If they don’t put you off, though, then there is a very likeable car to find in the Mini Clubman. The Mini Clubman has a well-built interior. Over the years, Mini has progressively been making its cars more upmarket, so it’s perhaps no real surprise to learn the current Mini Clubman has a well-built interior. Though some may not be particularly big fans of features like the large circular housing for the infotainment display, but there’s no denying the quality of the soft-touch plastics, the seat trim and the optional (on all models bar the range-topping John Cooper Works version) leather trim is up there with amongst the best this class has to offer. Ergonomics are also a noticeable step up from what the previous generation of Minis provided. for instance, all the main controls are logically laid out and intuitive to operate. The infotainment display is also worth of praise, as a result of the crisp resolution and easy to use operation. Our only criticism, in fact, is that the screen itself is a bit on the small side at 6.5-inches, though it is possible to upgrade it to an optional 8.8-inch setup. Space for passengers isn’t admittedly as impressive, though the Mini Clubman is still the most accommodating Mini you can currently buy. Admittedly, there isn’t as much room overall as there is in a Volkswagen Golf, but there’s still an ample amount of head and leg room for a driver and three passengers to sit comfortably in. There is also a middle chair on the rear bench, but it’s fairly narrow so it’s not one we recommend you allocate on longer journeys to an adult. The broad opening, low load lip and boxy dimensions means this trunk is rather versatile and handily sized. Thankfully, storage spaces are far more impressive in the Mini Clubman. On top of the plentiful array of sizeable cubbies (ranging from a good sized glovebox and obligatory compartment under the center armrest, to door bins that can accommodate 1.5-liter bottles of water), the trunk is also worth of note. Admittedly, at 17.5 cubic feet with the rear seats in place, the Mini Clubman isn’t class-leading in this regard (a Mazda 3 hatchback offers 20.2 cubic feet, for instance), but the broad opening, low load lip and boxy dimensions means this trunk is rather versatile and handily sized. Fold the standard-fir 60:40 split-folding rear seats (a 40:20:40 format is available as an option) completely flat, and you’ll have yourself 47.9 cubic feet to play with, which compares favourably with more conventional hatchback rivals – the Honda Civic hatch, for example, offers 46.2 cubic feet with the rear seats folded away. However, do bear in mind those split ‘barn doors’ that are in place of a conventional tailgate. Though they’re pretty interesting and unique at first, they do prove to be potentially irritating on a day-to-day basis – for instance, both doors take up a lot of space when you open them, so you won’t necessarily be able to access the trunk from the back in tighter parking spots. The Mini Clubman is a noticeably different beast when you’re behind the wheel. For years, both Mini and the motoring press have raved about how sharp and responsive the company’s cars are to drive in comparison with less handling-focused offerings. However, the Mini Clubman is a noticeably different beast when you’re behind the wheel: through a combination of the increased length and weight over a standard Mini hatch, the Mini Clubman is noticeably more laid back than the rest of the Mini range. 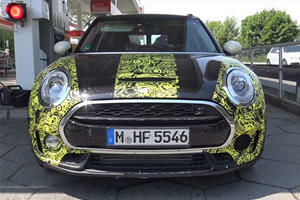 That doesn’t mean the Mini Clubman is dull or boring to drive. All the main hallmarks are still here, with the well-controlled body lean when cornering, the responsive steering and the satisfactory amount of grip means the Mini Clubman is quite an entertaining family car to drive. 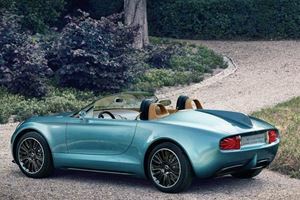 However, those attributes we mentioned earlier have resulted in the Mini Clubman being a more grown-up and mature-feeling car, with the ride quality being perhaps the most noticeable aspect. Though not quite as smooth as a Volkswagen Golf, there is a nicely judged middle ground between dynamic precision and out-and-out comfort. For sure, sharper jolts do upset the car a tad, but the Mini Clubman is still a cosseting car that’s surprisingly well-mannered at highway speeds. Arguably the big flaw that holds the Mini Clubman back, however, is the overall visibility. Sadly, the refinement qualities aren’t quite up to the same level as the ride comfort. Though road and wind noise isn’t too intrusive, there is still a noticeable amount in the Mini Clubman, which is disappointing considering its billing as a premium product. If it’s outright serenity you’re after, a Volkswagen Golf will be more suited to your needs. Arguably the big flaw that holds the Mini Clubman back, however, is the overall visibility. Though the view out front isn’t bad in the slightest, thanks to the broad windshield, the chunky pillars all around do generate a few blind spots. It’s the view out the back, though, that’s most frustrating: on top of the thick rear pillars, there’s a large blind spot where the frames of the ‘barn doors’ meet, and the head rests on the rear seats only compromise the view out of the rear even further. Those looking for a bit more power to play with will likely find the 2.0-liter turbocharged four-cylinder gasoline engine to be more appealing. Despite being a great match for the regular Mini hatchback, the 1.5-liter turbocharged three-cylinder gasoline engine isn’t the one we reckon most Mini Clubman buyers should consider immediately. For sure, it’s a good engine overall, but the 1.5-liter does feel a bit out of its depth in a vehicle of this size. A lot of that concern is down to the relatively low outputs. Though the 164 lb-ft of torque that’s available from low down in the rev range is certainly appreciated, the 134-hp the 1.5-liter has on tap doesn’t quite feel enough to get the Mini Clubman up to speed sufficiently – and especially on areas like highways. That said, it is a smooth and refined engine, and the claimed fuel economy figures (25mpg city/35mpg for manual cars; 25mpg city/34mpg highway for automatics) aren’t too far off what similarly-powerful cars like the Mazda 3 (27mpg city/37mpg highway) can muster – plus, the low-down torque does mean the Mini Clubman’s a decent urban runabout with this engine under the hood. Those looking for a bit more power to play with will likely find the 2.0-liter turbocharged four-cylinder gasoline engine to be more appealing. On top of being almost as efficient as the 1.5-liter (22mpg city/32mpg highway for cars with manual transmissions; 24mpg city/34mpg highway for those equipped with automatics), the 2.0-liter is just as smooth and as refined, and (unlike the 1.5-liter) can be specified with a very smooth eight-speed automatic transmission in place of the smaller engine’s six-speed auto. It’s the increased power outputs, though, that are the real crowning glories of this 2.0-liter unit. With 189-hp and 207 lb-ft of torque (the latter, as with the 1.5-liter, being available at lower revs), the 2.0-liter engine is very strong and punchy, and ideally suited to journeys in urban areas as well as the open world. Admittedly, adding this engine does increase the Mini Clubman’s price by a substantial $3,550, but we feel the premium is worth it if your budget stretches that far. All engines in the Mini Clubman range come with a very slick six-speed manual transmission as standard. Should that not be enough for you, then there’s also a 228-hp, 236 lb-ft version of the same engine in the range-topping John Cooper Works version of the Mini Clubman, which allegedly endows the car with a 149mph top speed and 0-60mph time of six seconds. Fuel consumption figures haven’t been disclosed just yet, though the John Cooper Works’ base price of $35,100 means most buyers will likely be able to afford to run this Mini Clubman on a day-to-day basis. All engines in the Mini Clubman range come with a very slick six-speed manual transmission as standard, which we feel many buyers will be satisfied with. Though not the smoothest transmission in the world (there’s a bit of a notch to contend with when selecting reverse gear, for instance), it’s still an enjoyable transmission to use and suits the Mini Clubman’s slightly racy traits. Those who want an automatic transmission, though, will be satisfied with the smooth-shifting and refined automatics (six-speeds on 1.5-liter cars; eight-speeds on 2.0-liter Mini Clubmans. However, it’s worth pointing out that upgrading to an automatic transmission will increase the price by $1,500. The already pricey Mini Clubman can become even more expensive if you’re not careful! The Mini Clubman does come with a fairly good amount of features and technology as standard. On the whole, the Mini Clubman does come with a fairly good amount of features and technology as standard. Dual-zone climate control, rain-sensing windshield wipers and cruise control come on all Mini Clubman models, as do Bluetooth connectivity, alloy wheels, keyless entry, heated wing mirrors, HD radio, a tactile leather-wrapped steering wheel and the very slick infotainment system we mentioned earlier. There are some unusual standard equipment omissions, considering this car’s price (only the John Cooper Works model gest a reversing camera, rear parking sensors and leather seats as standard, for example), but the Mini Clubman can be specified with said features at relatively little cost. Spend $1,750 on the Technology Package, for example, and you’re supplied with an 8.8-inch infotainment system with built-in navigation, a reversing camera and rear parking sensors, and heated seats are reasonably priced at $500. However, it’s here where we reckon you should be wary of what extras you add onto your Mini Clubman. Not only are some rather peculiarly priced (non-JCW models have fake leather seats unless you pay $1,500 for the real stuff, and power-adjustable front seats are a $1,250 optional extra on all Mini Clubman variants), but the Mini Clubman is already one of the pricier cars in this class. 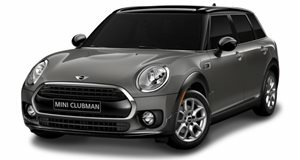 With a base price of $24,100, an entry-level Mini Clubman is almost as expensive as a nicely-equipped mid-range Chevrolet Cruze, and the $27,650 Mini Clubman variants are on par price-wise with the faster Volkswagen Golf GTI hot hatchback. Long story short, the Mini Clubman makes more sense if you keep the equipment and features down to features that’ll have a meaningful impact on a day-to-day ownership basis. A handy four-years/50,000-miles bumper-to-bumper warranty. As the Mini Clubman is a new car, we don’t have any details on reliability and residual values, but the track record of more recent Mini models suggests the Mini Clubman should be a sturdy car – with a handy four-years/50,000-miles bumper-to-bumper warranty to fall back on in case anything does go wrong – and the Mini Clubman should hold onto its value fairly well come resale time. Likewise, safety ratings aren’t known just yet, but the four-out-of-five stars the base Mini hatchback scored in its most recent crash test and the complement of safety gear available as standard on the Mini Clubman (including, but not limited to, stability control and front, side, curtain and knee airbags) should ensure the Mini Clubman also gets a good safety rating. However, it’s worth pointing out that features like blind spot monitoring and lane departure warning aren’t available on the Mini Clubman at all. All in all, the Mini Clubman does make a fairly good case for itself if you can afford it. Though it’s not the most practical car of its type when compared with slightly more spacious rivals, the Mini Clubman is a likeable ownership prospect if you’re after a distinctively-styled, commodious, well-built and fairly comfortable compact car. However, even when compared with premium alternatives, the Mini Clubman is a surprisingly expensive car that can become terrifyingly expensive if you’re not careful with the options list. It’s also worth pointing out that, if you’re after the most frugal compact car in this class, you won’t find it in the Mini Clubman. Overall, if you have a budget that can stretch far enough, the Mini Clubman is certainly a vehicle that should be on your radar if you’re after something of this ilk. However, we wouldn’t go as far to say it’s the best premium compact car on the market right now – and, as a result, we can’t recommend it over higher-end alternatives to the Mini Clubman. 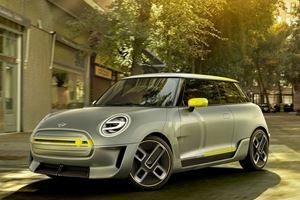 How Do You Feel About Mini Going All-Electric In The US? Or, in corporate-speak, "an electric urban mobility company."